Acording to the Feb 27, 2012 Meeting Agenda for the School Board, the following recommendations are being made by the Treasurer and Superintendent of Monroe Local Schools. Recommend the Board approve contracting with Local Government Services for a Deficit Audit this fiscal year. Recommend the Board approve the Ruth Yinger Scholarship Fund (007-9858). Recommend the Board approve an agreement with Ameriprise Financial Corporation to invest monies for the Ruth Yinger Scholarship Fund, with the Treasurer approved as the signer on the Ruth Yinger Scholarship account. Recommend the Board approve the Career Development Grant awarded by Butler Tech. along with Fund 524-9212 to account for grant funds. Recommend the Board approve charging students for the convenience of using a credit card to pay for lunchroom and school fees on line. Recommend that the district issue RFQ’s for contracting out custodial, maintenance and food service departments. 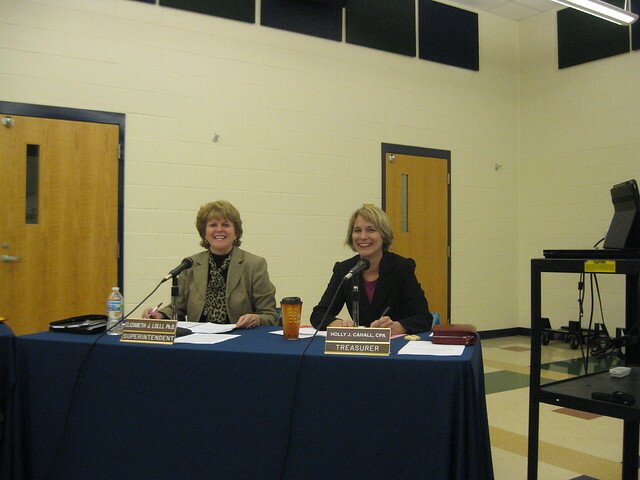 Recommend the Board approve the Early Out plan as proposed by the High School Administration on February 13, 2012.